Software Design Solutions provides embedded system software development, desktop application development, and software process improvement consulting. The company prides itself on decades of expertise to learn new best practices in agile embedded software development. 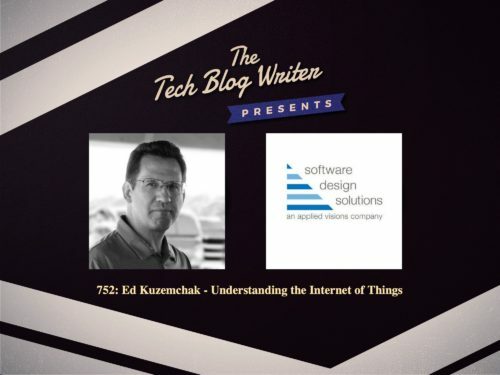 Ed Kuzemchak is an expert on the Internet of Things and the founder of Software Design Solutions. As an embedded software thought leader, I invited Ed onto this tech podcast to shares his experience around the challenges and pitfalls of designing intelligence into objects. Having worked across multiple industries Ed reveals his unique insights that will be valuable to companies looking to create, update, or improve their own IoT technologies. Ed has been a guest speaker at the IoT Summit, Internet of Things Worlds, IoT DevCon, Sensors Midwest, Fog World Congress 2018 and also blogs regularly for Software Design Solutions.